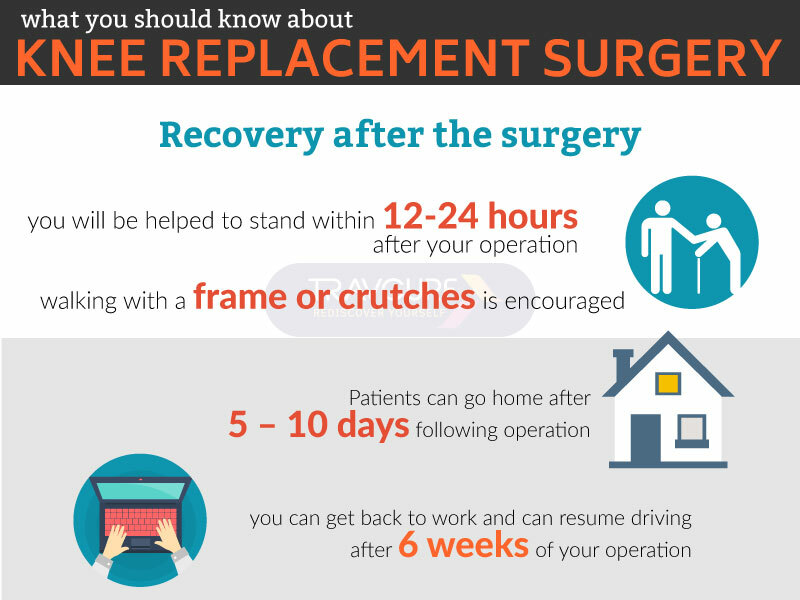 Knee replacement surgery is also commonly referred as arthroplasty. Knee replacement is a surgical procedure which is performed to resurface a knee joint which is damaged by arthritis. Metal and plastic components are used to cap both the ends of the bones from the knee joint. Knee replacement surgery is recommended to patients who have severe arthritis or severe knee injury. There are various types of arthritis which may affect the knee joint. Amongst which Osteoarthritis is the most common type that affects mostly middle-aged and older people which cause the joint cartilage and adjacent bone in the knees to breakdown. Knee replacement surgery is performed with a goal to resurface the parts of the knee joint that have been damaged to relieve the patient from knee pain which cannot be controlled by other treatments. Patient’s quality of life is affected negatively due to severe persistent pain in the knees. Inflammation in the knee joint is unbearable. Stiffness in the knee joints. The great difficulty in performing daily activities. Severe injury to the knee joint. Severe pain in the knee joints. All other conservative treatments have failed to provide the patient with relief. The patient cannot walk or climb the stairs easily. Knee replacement surgery is performed under general anaesthesia. The surgeon makes an incision in the knee area and removes the damaged surfaces of the knee joint and resurface the knee joint with the prosthesis which is made of metal and plastic components. The damaged or the infected part of the joint is removed from the surface of the bone and shaped in such a way that it holds a metal or plastic artificial joint. The artificial joint is then attached to the thigh bone, shin and knee cap either with the help of cement or a special material. The artificial joint is then fixed together, the attached artificial parts from the joint, relying on the surrounding muscles and ligaments for support and function. Patients are advised to take a pain reliever for soreness. Patients are advised to use cane or walker to help them walk until they gain their strength and balance is improved. Proper handrails along all stairs. Driving is prohibited after surgery as it can put pressure on the knee joint. Patients are asked to keep their surgical area clean and dry. Use Safety handrails in the shower or bath. Patients are asked to apply ice on knees and legs to reduce the swelling. Orthopaedic surgeries have a huge success rate in India. Patients from different countries come to India and avail the medical facilities at the most affordable costs. The knee replacement surgery success rate in India is very high. Availability of best orthopaedic surgeons and hospital adds to the success rate of the surgeries. The knee replacement surgery cost in India is very less as compared to any other country. Patients from abroad can undergo knee replacement surgery in India and save huge amounts. Kimmie Rollison is an eminent Health consultant. She also writes for the Health columns for various regional and international online media and blogs. She is currently writing for Orthopaedic Surgery (http://orthopaedicsurgeryindia.com/), a medical tourism company dealing with bone and joint treatments in India.